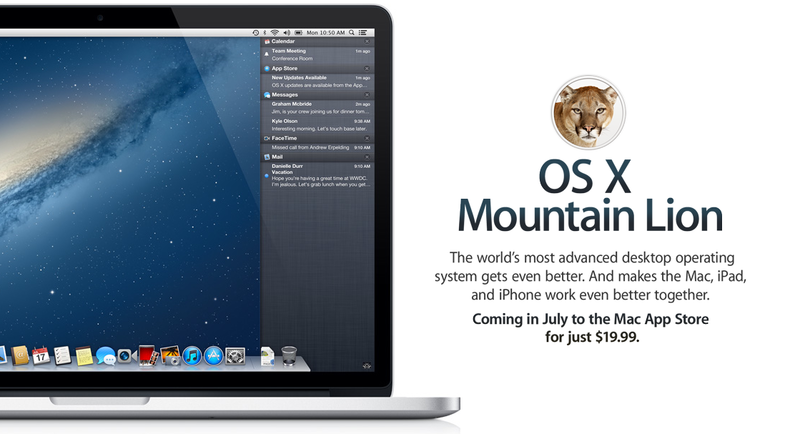 Today is the day where you can finally get your hands on the newest greatest version of Mac Software, OS X Mountain Lion. Fortunatly I have had the software ever sense it was announced so I am going to tell you what’s good and bad. So lets get started. One of the things that first surfaced when iMessage was announced in iOS 5 is when was it going to be implemented into the Mac. Well mountain Lion brings that functionality. 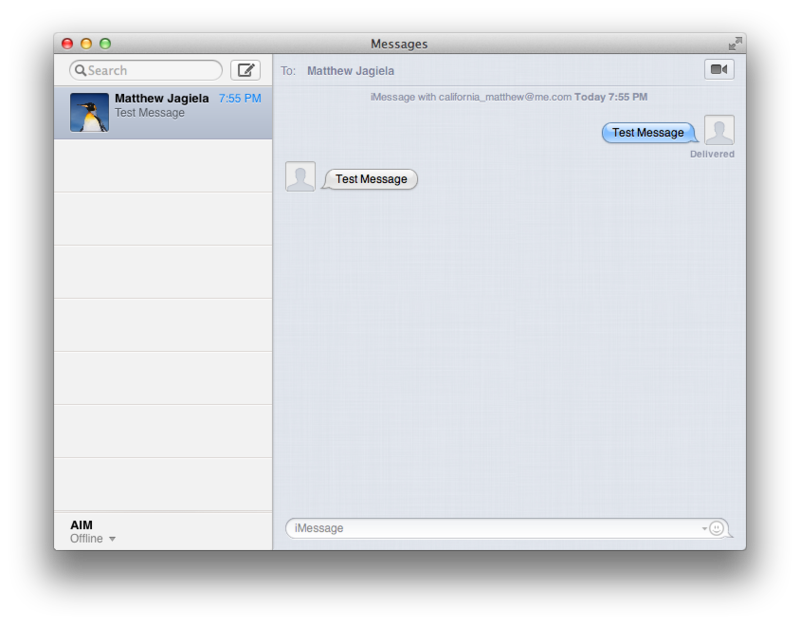 Messages replaces iChat but still has all the same features just with the addition of having all your conversations in one window and having the ability to send iMessages to every iOS 5+ device. Remember if you have the messages BETA tomorrow it will expire forcing you to upgrade to Mountain Lion for the feature. One of the things that a student or business man needs is a ToDo list. I will be using this app for the course of the upcoming school year. 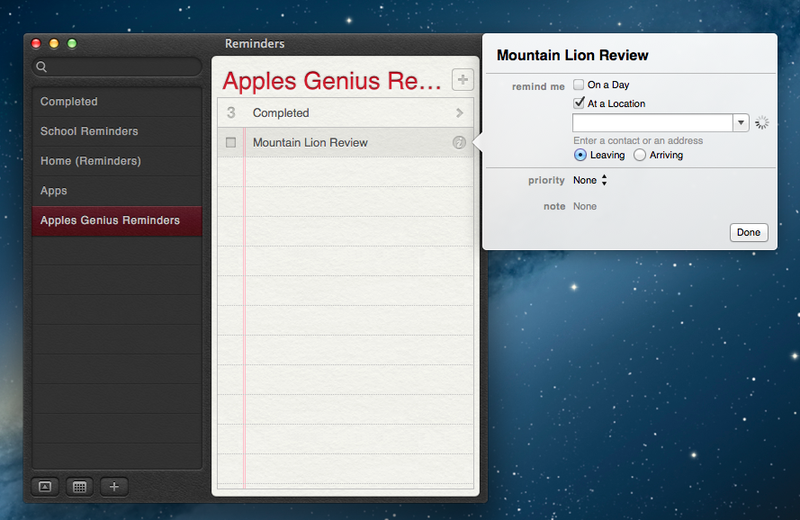 The reminders app for mac is great. All you need to do is add a what you need to do and when it needs to be done by and your done. You can also tell your reminder to go off when you leave or when you arrive somewhere. However that feature is more for iOS device syncing to your 36/LTE iPad or iPhone not your mac. The cross platforming will make sure you will get what you need to get done, well done. Notifications will also remind you to get done the item you added. One of the things that bothered me when MobileMe and iCloud syncing came out was that you needed to go into the Mail app to get to them and syncing was TERRIBLE. 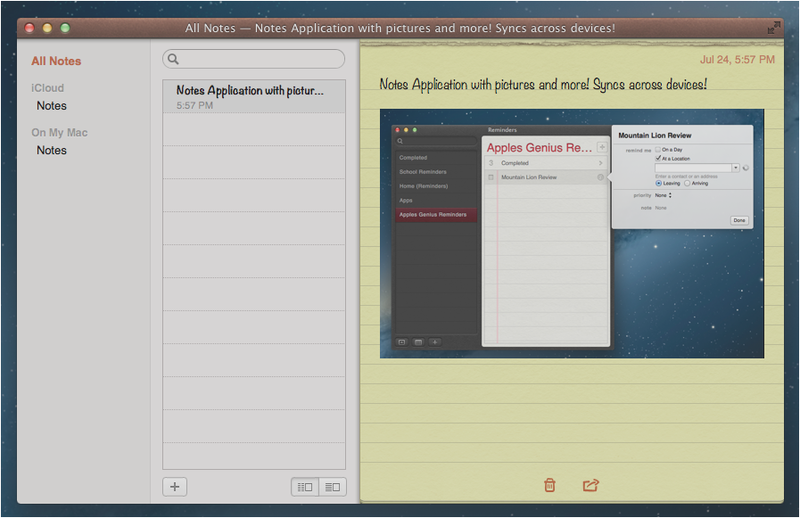 Not only is the new Notes App easy to use it works very well also! It will sync automatically with iCloud throughout your iCloud enabled devices. You can also add Photos and bullet points into the application! Over all I really like it for Mountain Lion but I would love to see you be able to add photos and bullets to iOS. One of the things I was really excited about was the addition of airplay mirroring for the Mac in Mountain Lion, however I have an early 2011 2nd GEN Macbook Air as my latest model with no intention of upgrading anytime soon and I was very disappointed that my Mac was not supported. Something with the processor but I bet it will be great for users who could take advantage of it but I have a feeling it will be very lagy for some which is ok. I hope maybe someday Apple will allow older Macs to be able to take advantage of this feature (one can dream). I like game center on iOS I really do. 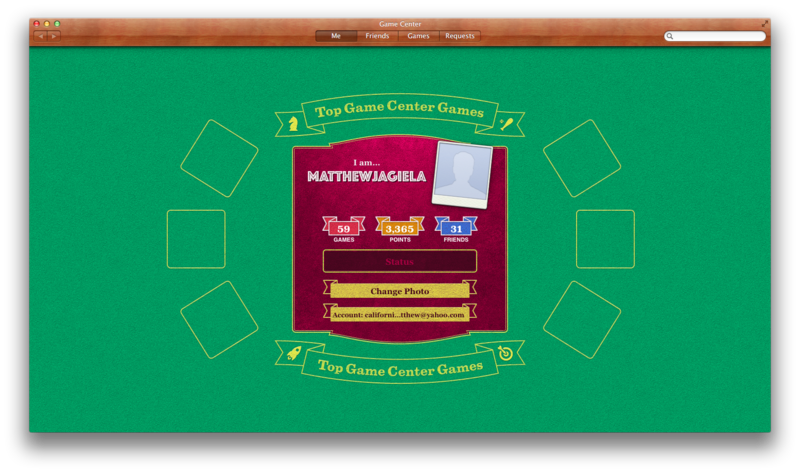 I think that when Game Center for the mac get’s applications that are ready for it then it will be amazing. Unfortunately I haven’t been able to see how good it is so I can’t really give it a star count but I will be able to give it a rating when I get some apps that support it but I think it is going very far and will have an impact on Mac gaming. iCloud storage was teased about a year ago and we never got it. 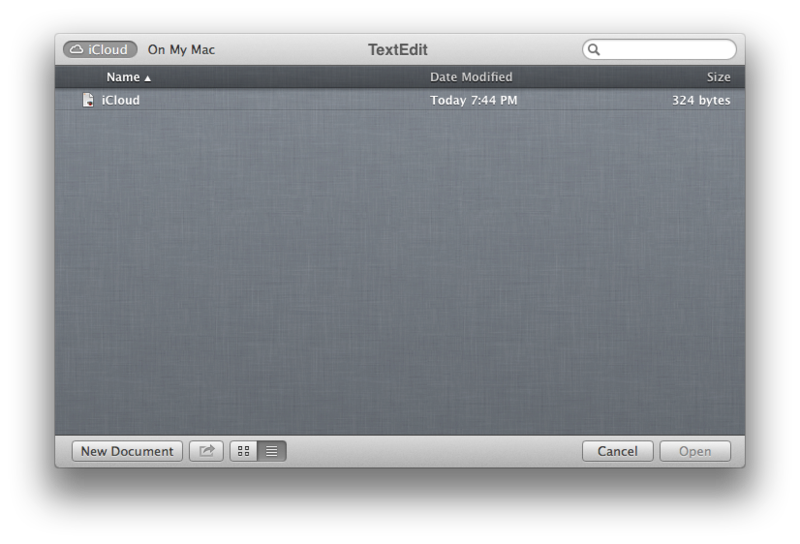 However in Mountain Lion they gave it to the text edit app. Hopefully soon enough if not tomorrow they will update iWork so we can start having data throughout our devices. I can say across Macs with text edit iCloud storage worked very well for me though and I can’t wait to see it get into iWork so I can have my documents everywhere I go. 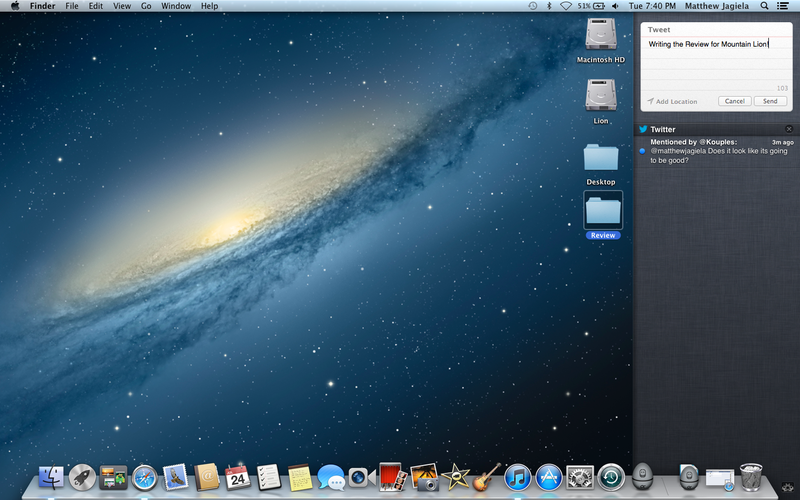 One of the things that I really like about mountain lion is the notifications and the notification center. Taken from iOS all you need to do to access notification center is take to fingers and slide them from the very right of your trackpad and swipe left or hit the notification button in the top right of the screen! You can also hit the tweet button and send a tweet to twitter and eventually to Facebook! x11 is used by many popular cross platform conversions from Windows. One of the most popular applications being GIMP. One of the thing’s Apple has done is totally removed X11 from Mac so GIMP and other applications that use x11 will not work and will have to be written natively unless there is a work around. One of the things Apple added for security in Mountain Lion is Gate Keeper and new security measurements. 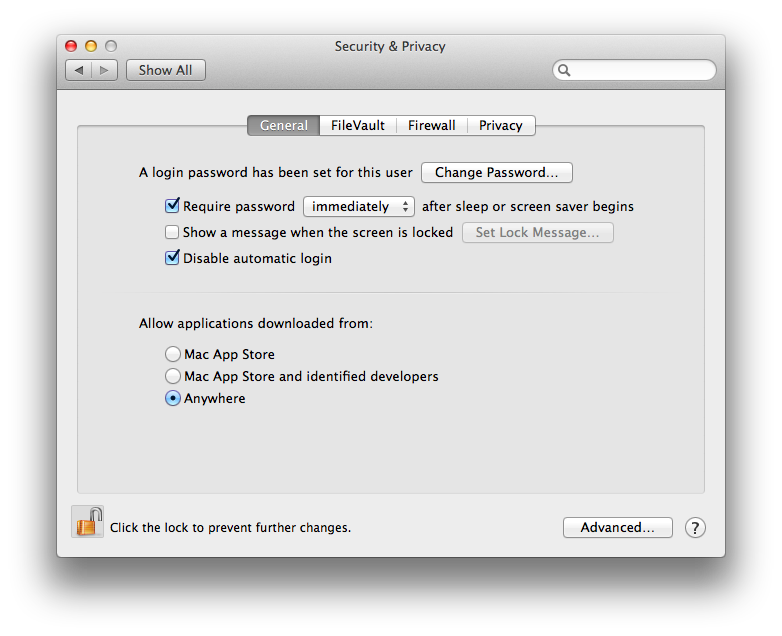 From now on your Mac running Mountain Lion will check with Apple daily for security updates. Also with Gate Keeper you can only allow App store Apps, signed Apps from registered development companies, or software from anywhere. It is only ok because it shows that the Mac may start to be restricted from outside developers eventually but overall I like how Apple is handling security with this. Mountain Lion is the best operating system Apple has released for the Mac so far and with software updates coming to use many of the new features some we don’t even know about will make the entire OS better. For only $20 it is a great upgrade for your Mac as you will have security, new features, and even more. However if you want to upgrade but one of these features is a deal breaker later today I will have a video on how to make another disk partition for Mountain Lion and can keep your current OS. ‹ PreviousMountain Lion goes live tomorrow! Next ›Rumored iPhone 5 parts get assembled: Is this the Next iPhone?